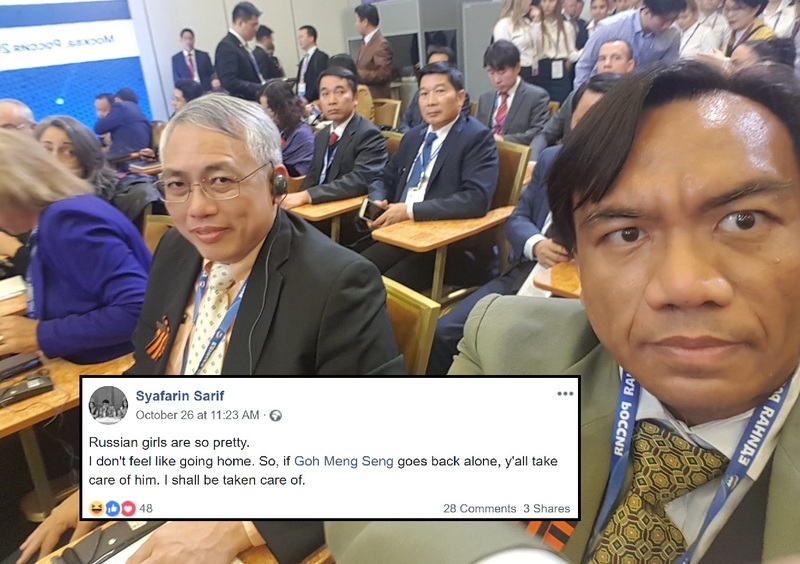 People’s Power Party Founders Attends ICAPP Political Conference; Chairman Syafarin Sarif Gets “Distracted” By Pretty Russian Girls – Sinking It In! Whenever someone thinks of the typical Singaporean politician, one would always think of them as serious and not fun to hang out with. However this was proven unfounded with the newly minted People’s Power Party (PPP) led by Mr. Goh Meng Seng and Mr. Syafarin Sarif. Both PPP founders were in Russia to attend the 10th General Assembly of the International Conference of Asian Political Parties (ICAPP) and Mr Goh had to deliver a speech on “The Role of Political Parties in reducing International Tensions and Combating Extremism”. Mr. Syafarin, Chairman of the People’s Power Party, provided constant updates on the political conference including interesting encounters with foreign dignitaries as well as the more mundane aspects such as the variety of interesting food provided for the delegation members. Unlike the usual dreary press releases after every conference, Mr. Syafarin’s constant updates of the little snippets in his daily encounters gave a laid back and somewhat humanizing feel to Singapore politicians. Even more amusing was when Mr. Syafarin commented that the Russian girls he met were so pretty and joked in jest that he no longer felt like going home and if he didn’t return, he would be well taken care of by these sweet pretty Russian girls. Mr. Syafarin sure is a man who knows how to mix work and play.